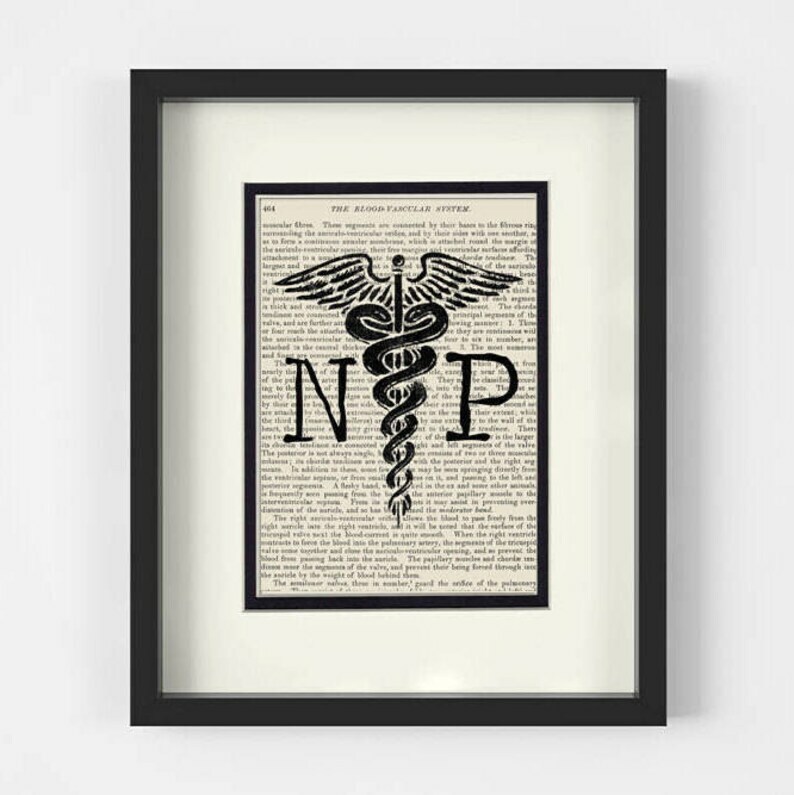 NP, Nurse Practitioner, Illustration. Vintage Anatomy Book Page Art Print. Mounted under an 8x10 creamy white mat with an inner black border. A unique one of a kind of piece of artwork. just received the print . just lovely. I have a co-worker she is going to NP school and I just want to offer some encouragement to hang in there . Packaged well. 5 stars to your business. Can't wait to get the other prints.